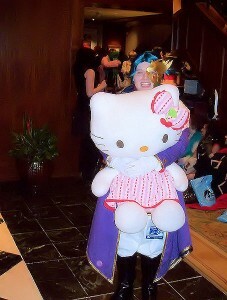 Kumoricon is the big Anime convention I n Portland Oregon over the Labor Day weekend. This is my second one. 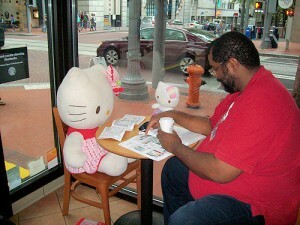 Friday I picked up my badge, Noting the response to my Hello Kitty I made an executive decision. Originally I was only going to bring my small convention Kitty. 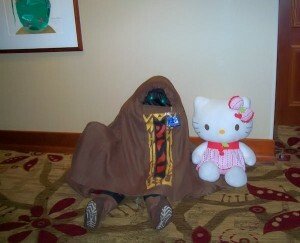 Noting the response I decided to bring big Kitty, she was a hit at the convention. 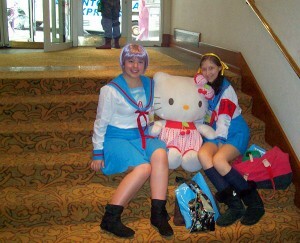 This entry was posted in People, Sanrio and tagged Fury, Hello Kitty, Kumoricon, Portland by Acton. Bookmark the permalink. You have a special convention Kitty? Wow, you are dedicated!